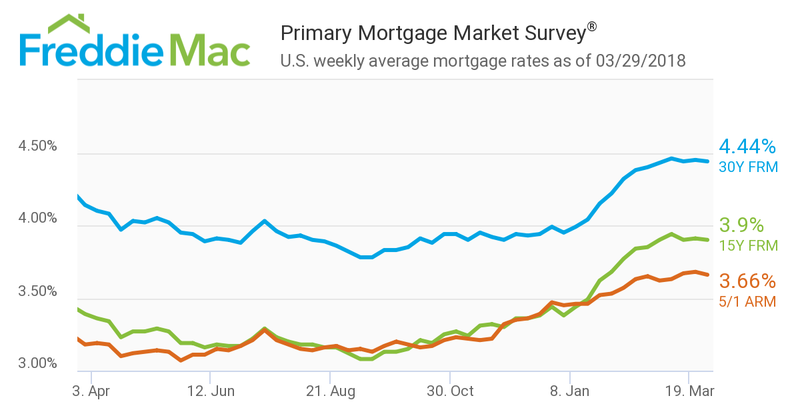 The 30-year fixed mortgage rate on Zillow Mortgages is currently 4.21 percent, down 10 basis points from this time last week. 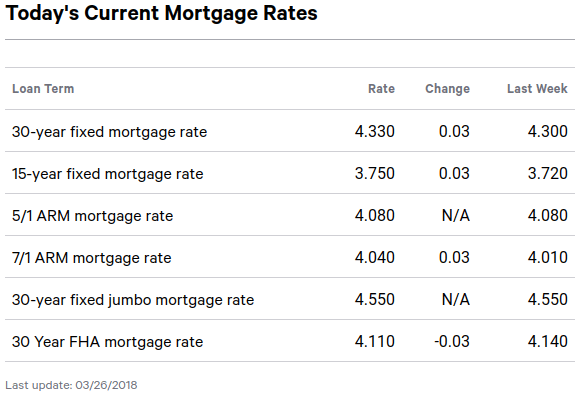 The 30-year fixed mortgage rate fell last Thursday, then hovered around 4.26 percent for most of the week before sliding down to the current rate. The rate for a 15-year fixed home loan is currently 3.63 percent, and the rate for a 5-1 adjustable-rate mortgage (ARM) is 3.60 percent. 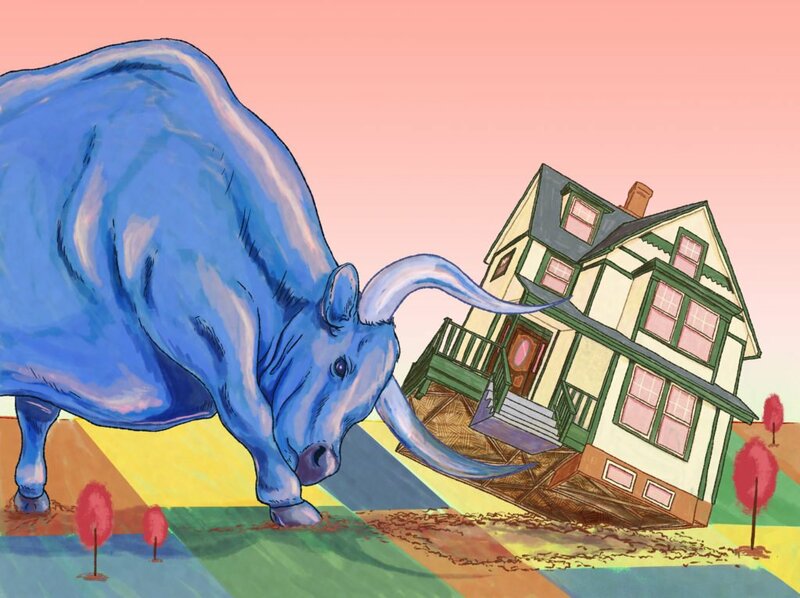 The rate for a jumbo 30-year fixed loan is 4.23 percent. 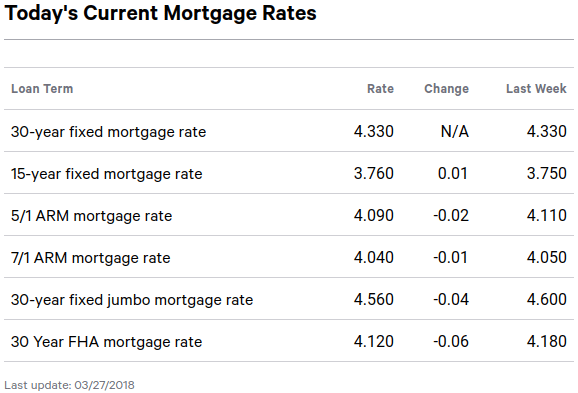 “Mortgage rates fell last Thursday as trade war fears sparked a financial flight to assets, despite a bullish FOMC meeting statement and press conference the previous afternoon,” said Aaron Terrazas, senior economist at Zillow. The Market Composite Index, a measure of mortgage loan application volume, increased 4.8 percent on a seasonally adjusted basis from one week earlier. On an unadjusted basis, the Index increased 5 percent compared with the previous week. The Refinance Index increased 7 percent from the previous week. The seasonally adjusted Purchase Index increased 3 percent from one week earlier. The unadjusted Purchase Index increased 4 percent compared with the previous week and was 8 percent higher than the same week one year ago. The refinance share of mortgage activity increased to 39.4 percent of total applications from 38.5 percent the previous week. The adjustable-rate mortgage (ARM) share of activity remained unchanged at 7.0 percent of total applications. The FHA share of total applications decreased to 9.9 percent from 10.3 percent the week prior. The VA share of total applications decreased to 10.3 percent from 10.7 percent the week prior. The USDA share of total applications remained unchanged at 0.8 percent from the week prior. The average contract interest rate for 30-year fixed-rate mortgages with conforming loan balances ($453,100 or less) increased to 4.69 percent from 4.68 percent, with points decreasing to 0.43 from 0.46 (including the origination fee) for 80 percent loan-to-value ratio (LTV) loans. The effective rate decreased from last week. The average contract interest rate for 30-year fixed-rate mortgages with jumbo loan balances (greater than $453,100) increased to 4.60 percent from 4.55 percent, with points decreasing to 0.36 from 0.37 (including the origination fee) for 80 percent LTV loans. The effective rate increased from last week. The average contract interest rate for 30-year fixed-rate mortgages backed by the FHA increased to 4.75 percent from 4.69 percent, with points decreasing to 0.56 from 0.81 (including the origination fee) for 80 percent LTV loans. The effective rate decreased from last week. 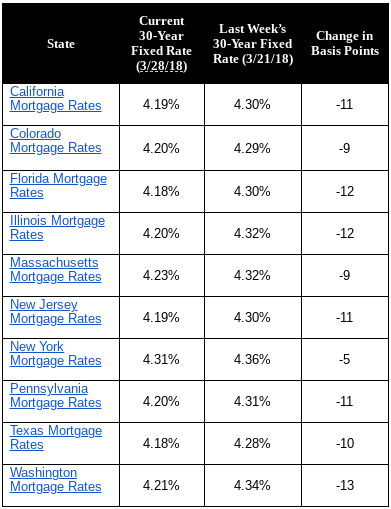 The average contract interest rate for 15-year fixed-rate mortgages decreased to 4.09 percent from 4.12 percent, with points decreasing to 0.46 from 0.51 (including the origination fee) for 80 percent LTV loans. The effective rate decreased from last week. The average contract interest rate for 5/1 ARMs increased to 3.92 percent from 3.83 percent, with points decreasing to 0.46 from 0.68 (including the origination fee) for 80 percent LTV loans. The effective rate increased from last week. The average rate you’ll pay for a 30-year fixed mortgage is 4.33 percent. The average 15-year fixed-mortgage rate is 3.76 percent. The MBA study is the only one of its kind to present a comprehensive set of listings of 131 different commercial/multifamily mortgage originators, their 2017 volumes and the different roles they play. The MBA report, Commercial Real Estate/Multifamily Finance Firms – Annual Origination Volumes, presents origination volumes in more than 140 categories, including by role, by investor group, by property type, by financing structure type, and by the location of the originating office. The average rate you’ll pay for a 30-year fixed mortgage is 4.33 percent, an increase of 3 basis points from a week ago. A month ago, the average rate on a 30-year fixed mortgage was lower, at 4.31 percent. The average 15-year fixed-mortgage rate is 3.75 percent, up 3 basis points over the last seven days.